Availability: This item will be re-released in Summer 2004. You may order it now and we will ship it to you when it arrives. 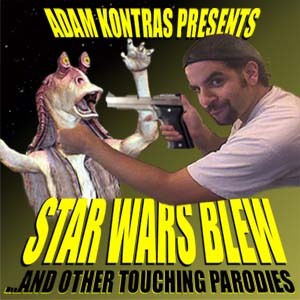 Buy this CD with Star Wars Blew CD ~ Adam Kontras today! 33. Bachelor Party Cuts - Hey pitty! 34. Bachelor Party Cuts - Outside Naked? The title of this CD most assuredly does not do it justice. Amazingly after 2 WTVN CDs and 3 CD101 CDs, there were great bits from both stations that just simply could not fit on those 5 CDs. Adam finally put together this CD nearly 2 years after his final radio broadcast incorporating all the great bits that had to be left out of the other discs. 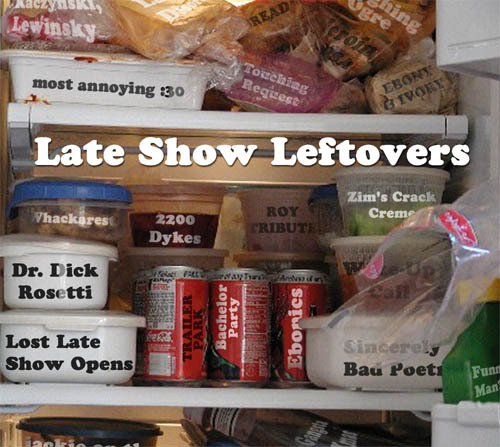 What we're left with are some of the funniest moments of The Late Show. Believe it or not, there's enough material left for 3 more discs, but Adam has said this is the last...unless he takes to the airwaves again.